A beautiful kitchen is within reach. When you are ready for a style upgrade, shop with us for your new kitchen countertops. At our reputable store and showroom, we proudly serve as a leading provider of quartz, marble, and stone countertops for customers in the area. We offer everything you need to take your space to the next level. When you shop with us, our professional sales staff is happy to help you make the right choice for a look that meets your wants, needs, and budget. Visit our showroom today to take advantage of the highly competitive rates for each of our stunning products. We all want a beautiful home. For a space that you'll be proud to show off to your friends, family, and neighbors, stone countertops deliver the right look. Our options for marble and quartz countertops include products that have been made of top quality materials. No matter what your current space looks like, changing your kitchen countertops is an easy way to transform your home. We work with you to decide on the right materials for every need. Our countertops are built to last for years to come, and they will hold up to heat, water, and other potential issues. We are proud to offer 12-18 months financing on our products. Call us today to find out more about this special offer. You know you have always wanted the kind of countertops that finish your home with smart style and now it is easier than ever to have them. Silestone is the perfect selection for kitchen and bathroom countertops because they present very durable kitchen and bathroom spaces where traffic and daily use is high, and also the endless color possibilities that are possible with this countertop surface. When it comes to materials, marble has a reputation for elegance and class. When properly cared for, this stunning material can last for decades without the need for maintenance or repairs. Because it holds up to regular use, it is a top option for any type of kitchen. At our showroom, these exquisite counters are designed to fit with every décor scheme. If you are eager to add a touch of class to your kitchens, choosing marble countertops will give you the look you want. Our team works with you to help you measure out every material to fit any space. Granite countertops add significant value to your home while delivering a one-of-a-kind, natural surface with an almost glowing look to your living space. This transformative piece of stone is designed to last forever, which means you know that the investment you are making is going to be valuable for as long as you own your home. Smart looks aren't the only thing granite countertops give to you. Formed by heat and pressure, these counters are can easily take the heat off your hot pans while giving you a very sanitary surface that wards off most bacterial contaminations. It also doesn't take much to clean your countertop when it is made of granite. Just some warm water and a mild detergent, and you will be able to keep your counters as shining and clean as the day they were installed. 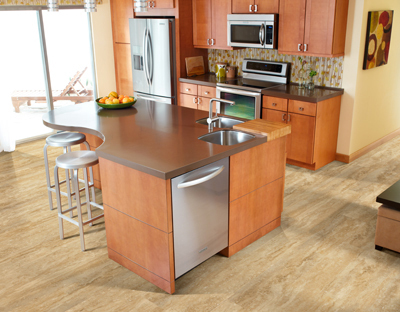 In recent years, quartz has grown in popularity amongst homeowners everywhere. This eye-catching material is available in a variety of different colors and patterns, making it easy to install in any space. Quartz countertops deliver a stylish appearance, and its nonporous texture keeps it safe against spills from wine, coffee, and water. Once you have decided on your new kitchen countertops, let us take care of the installation process. We will use your exact measurements to create a product that is a perfect fit for your kitchen. Once your new countertop has been built, we are happy to perform a full countertop installation. We work quickly and efficiently to complete your project, leaving you with a beautiful new kitchen that you'll treasure for years to come. Contact us to discover your options in kitchen countertops. Our marble, quartz, and stone countertops are available for customers throughout Covington, Billings, Lamont, Pond Creek, and Enid, Oklahoma.